Hi there! 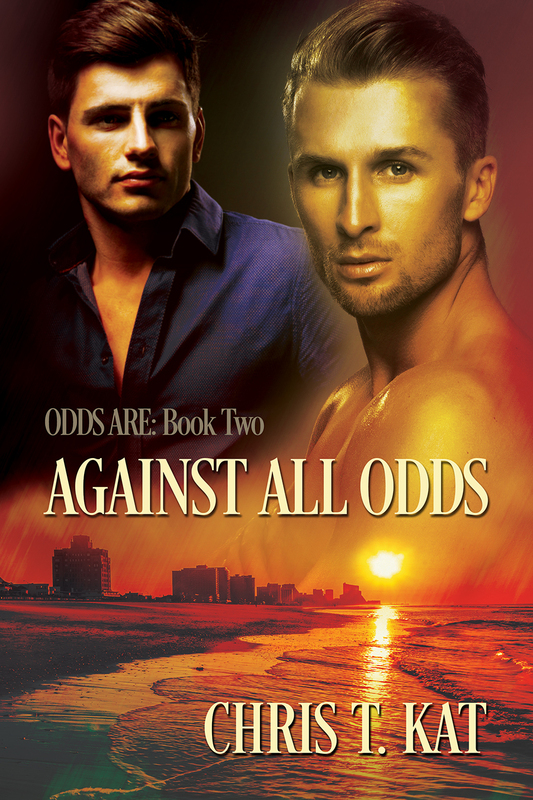 Today I”m wishing a very Happy Book Birthday to AGAINST ALL ODDS, a contemporary M/M romance from Chris T. Kat. This is the second book in the Odds Are series, and needs to be read in order. Check out the excerpt below, and be sure to enter to win a $15 Amazon gift card. Sometimes Joshua Stone thinks he’s died and gone to heaven. How else can he explain Michael’s love for him? And now they’re living together… in a real relationship. This is the stuff of fairy tales, a love like other people take for granted. Sure, they have their moments, what couple doesn’t? But a small doubt lingers in Joshua’s heart. Can this really be true? Can a gorgeous man like Michael really love someone like Joshua—the guy with cerebral palsy, who’s helpless without his walker or his tricycle to get him around? Michael senses Joshua’s worries, but there’s nothing he can do to dispel them because that would mean revealing his secret—and he’s not ready for that. Their mutual secrets hang between them like time bombs waiting to explode. They might not survive the inevitable blast. How about a little taste? “I’m awake! I’m awake, really!” Joshua panted. A guilty feeling settled in the pit of Michael’s gut. He inspected Joshua’s face more thoroughly, difficult as it was with only a small sliver of moonlight illuminating their bedroom, and noticed blue smudges under his eyes that hadn’t been there weeks ago. Furrowing his brows, Michael slid his gaze over Joshua’s face. Joshua had always been slim—too slim in Michael’s opinion, but that was a sore topic with Joshua—but now his cheeks were hollowed, accentuating his sharp cheekbones even more. “You can go to bed if you’re tired; you don’t need to wait for me.” Michael tried not to wince when he mentally added, especially not on Tuesdays and Thursdays because on those days, I’ll always be late. “Then we’d most likely only see each other on the weekends.” Joshua pressed a kiss to Michael’s lips, licking along the seam and demanding entrance. Joshua’s boldness had only developed recently, but wow, what a total turn-on it was for Michael. Michael opened his mouth for Joshua’s exploration, quashing the urge to apologize to Joshua—again. It wasn’t his fault he currently had to drive up to Philadelphia each day for work, and he certainly couldn’t afford to say no to this job. He’d finally managed to score a real job with some benefits. A couple more months and they could look for a new car… one Joshua could climb into on his own. Hmm… definitely sounds like these guys have some challenges ahead. interested? You can find AGAINST ALL ODDS on Goodreads, Dreamspinner Press, Amazon, Barnes & Noble and AllRomance. Click the Rafflecopter link below for your chance to win a $15 Amazon gift card. Good luck adn keep reading my friends! Chris T. Kat lives in the middle of Europe, where she shares a house with her husband of many years and their two children. She stumbled upon the M/M genre by luck and was swiftly drawn into it. She divides her time between work, her family—which includes chasing after escaping horses and lugging around huge instruments such as a harp—and writing. She enjoys a variety of genres, such as mystery/suspense, paranormal, and romance. If there’s any spare time, she happily reads for hours, listens to audiobooks or does cross stitch. 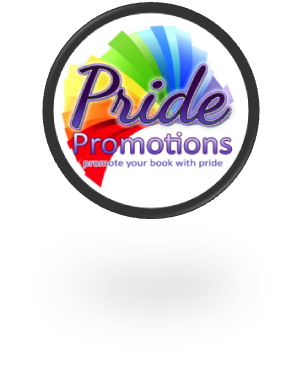 Catch up to Chris online on her blog, twitter, Goodreads, and Amazon page.